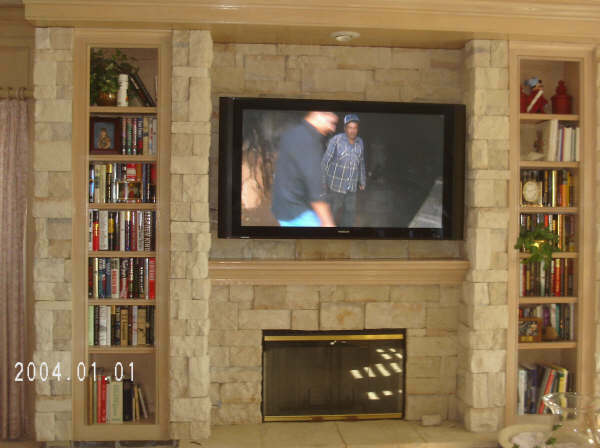 Mount your TV Over Your Fireplace It gives it that nice clean look and out of the way! Mount Your TV In Your Bedroom! Let’s get that big old tube TV out of the bedroom and get that nice flat screen TV on the wall and out of the way. For Your Business! Great for Advertising your business or Presentations in a conference room. The home or business owner who’s comfortable handling minor improvement tasks should easily be able to wall mount an LCD TV using mostly basic tools. Even though it’s a simple process, mounting an LCD TV on a wall isn’t a 1-person job. You typically need 1 or 2 people to hold the television, depending on how heavy your television set is, and one person to attach the mount to the wall. Set aside about an hour to complete the process, once you have all of your tools and the mount on hand..